$10 shipping on most items. We all know there is a cost to ship anything, we only ask that you chip in a little and we'll cover the rest. Simply put…you pay a flat-fee of $10.00 per order. That's it! All shipments are via ground service. Deliveries to select zip codes may have additional fees assessed by the carrier. You will receive email notification that your order has been processed. Orders are processed within 48 hours of receipt. Normal delivery times for in-stock items are between 1-9 days. Items requiring oversized or overweight shipping may extend delivery times by one or two days. Orders may arrive in multiple packages and on separate days depending on type of product and volume of product ordered. 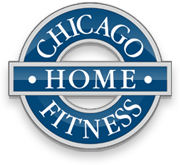 Order tracking information can be found on your Order Confirmation or by calling (708) 339-6060 x2100. The Great Escape is not responsible for any items which need to be secured or tied down to an automobile/truck. It is the customers responsibility to secure all items which are picked up at The great Escape, including items loaded by a Great Escape employee. The Great Escape is not responsible for any damage to customer or business vehicles picking up product at store or distribution locations. At The Great Escape, we do not believe in charging handling fees. Most of our competitors advertise FREE SHIPPING, but then charge you a handling fee. So much for "FREE SHIPPING". You will receive a Shipping Confirmation email after your purchase has been shipped. This email will contain your tracking number. If you've created a Great Escape Account, please login to track your shipment. Choose the purchase you wish to track in order to view your shipment status. 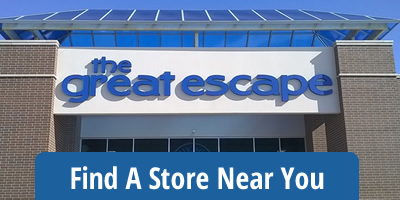 If you did not create a Great Escape account, please refer to your Shipping Confirmation email for your tracking number, or call The Great Escape Customer Service at (708) 339-6060 x2100.